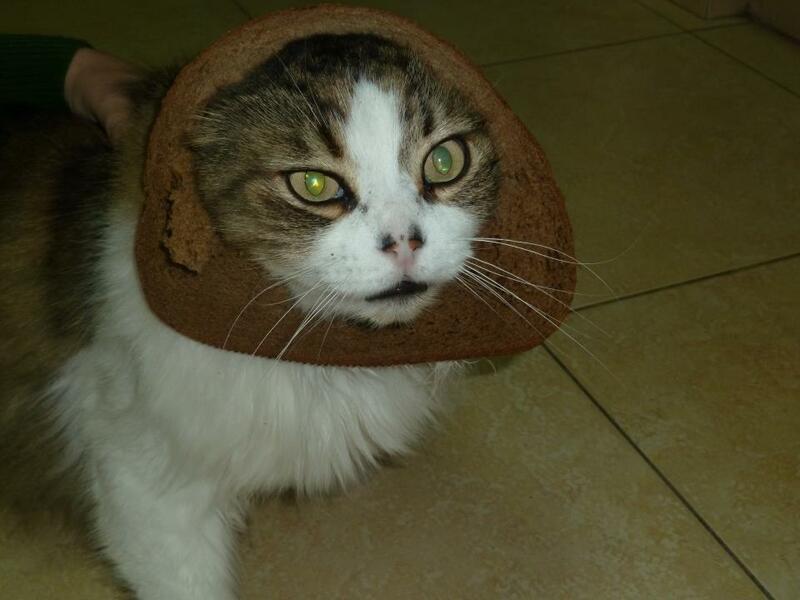 A new craze for photographing pet cats with a slice of bread on their heads has become a hit on the Internet. 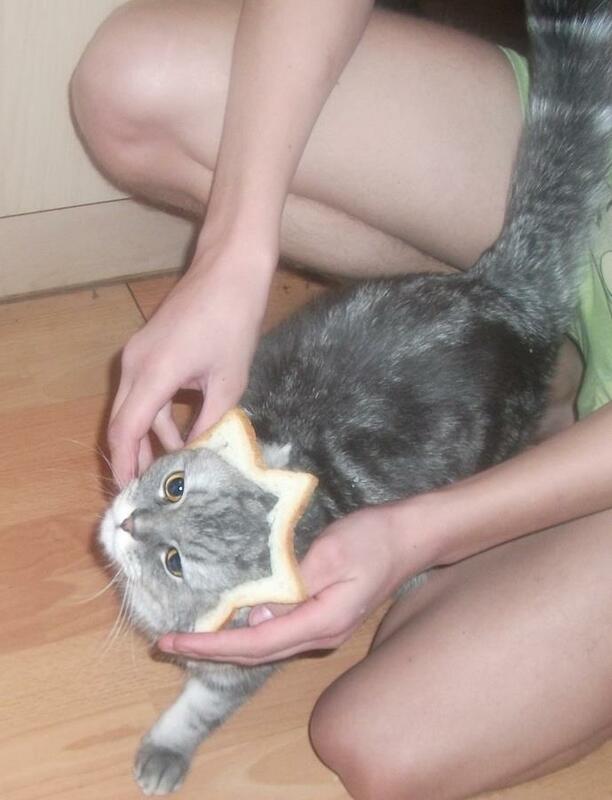 These are some of the bizarre photos uploaded to a Facebook group called: “Putting bread on your cat, so that people think you have a walking sandwich”. I’m betting that there’s a lot of really pissed off cats out there! 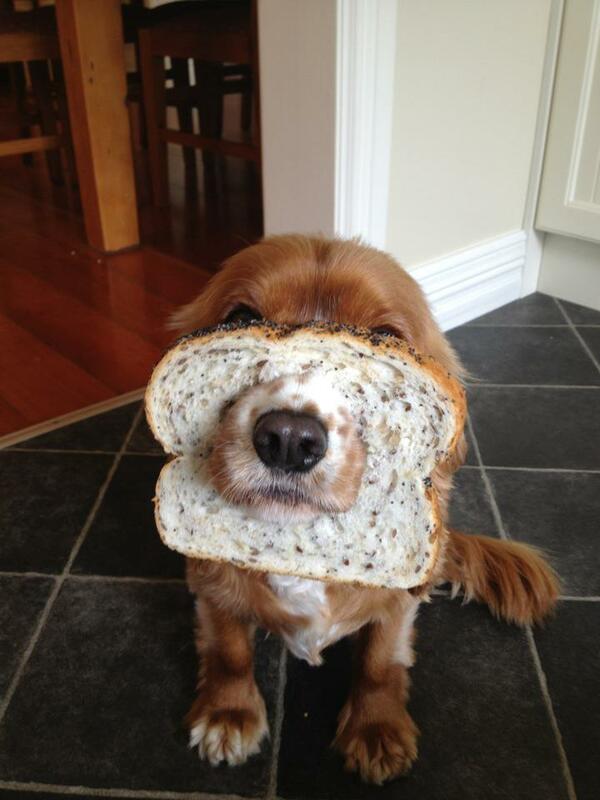 Especially if they don’t get to eat any bread. 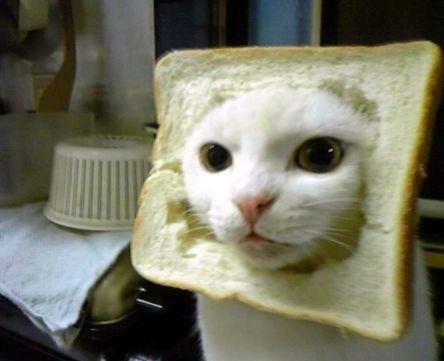 Do cats eat bread, I wonder…. had a cat that ate cantaloupe several years ago. 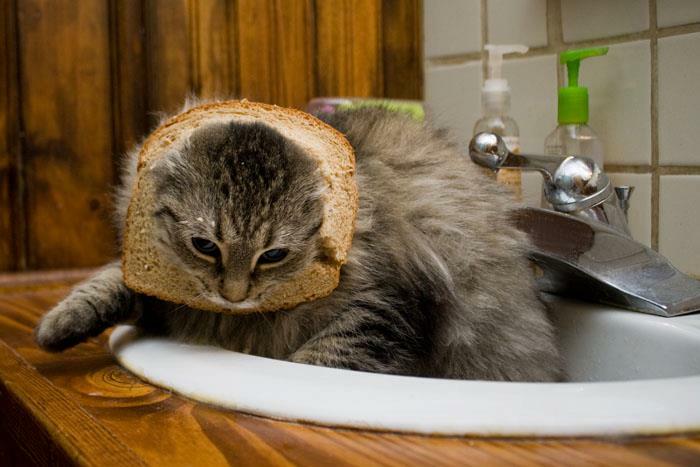 hmmmmm wonder if you can make the bread into balls and cook up a good Kitten Cat-Ciattore…. This has GOT to be a continuation of the popular website -and assorted pics everywhere- from the mid 90’s ‘Stuff on my Cat.’ Not that it’s a bad thing! 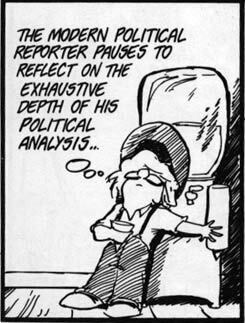 Did a Goggle to see if the original site is still up -would have to be 10 years old now- and found this! I’ll bet you’re right, though, that it developed off of that book. Oh no, the book came from the website! Hust as there is a ‘passive -aggressive notes’ book as well as so many other based off of websites. Just a re-do. Someone gave me a Pet Rock once -this was probably around 1974. I threw it at a boy. You have only elevated in my eyes by your admission of a) remembering the f**king rocks b) NEVER buying one. I had pet rocks when I was a kid. But I never bought them. I went out into the wild and bravely captured the fierce beasts! Well, if you must know… I was injured when I attempted to sneak up on a large herd of wild pet rocks as they grazed upon the side of a steep hill. But a sudden boom of thunder spooked the herd and they stampeded down on me in a wild pet rock avalanche! Wish that I did. It would probably be more entertaining than anything else I’ve posted lately. She speaks: Sadly the cat was mentally discombobulated prior to the ability to take pictures. Now Ambrose Beast has gone on to be with Bast. I was awarded my daughter. He was awarded the pets. 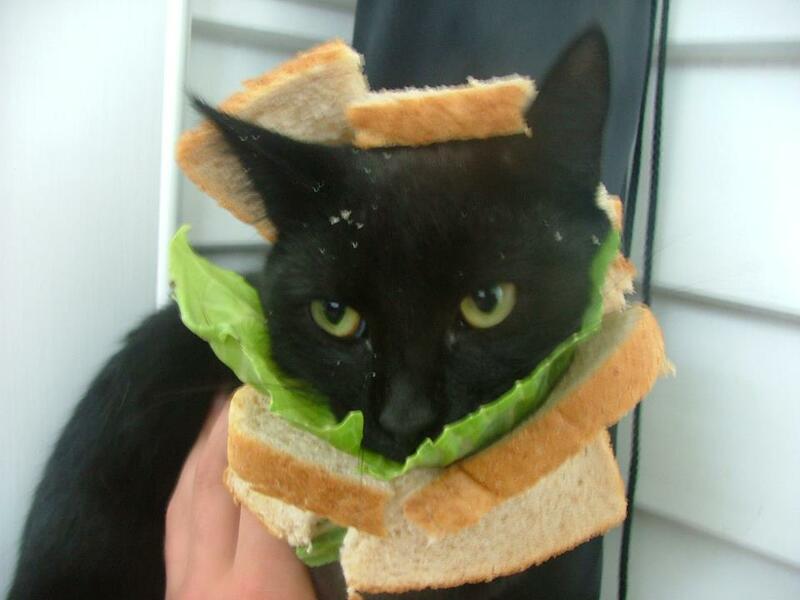 Still believe I am owed royalties for the years long stolen picture ‘cat in a melon helmet’ image. Never seen anything like this before. I wonder if these people have day jobs. Idle time, wasted mind. 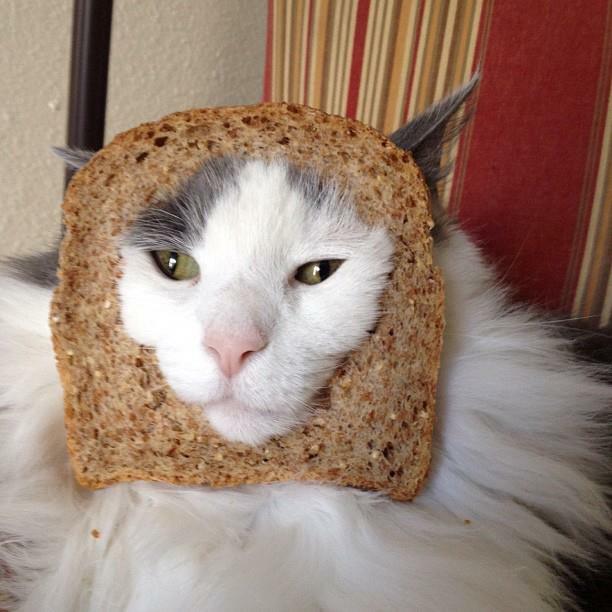 Don’t tell PETA… they’ll petition to ban cat owners from purchasing and/or bringing home bread. Ai! Daughter is a vegetarian; 18 years old now and has been strict about her beliefs sine age 11. Even SHE thinks PETA are whack jobs. 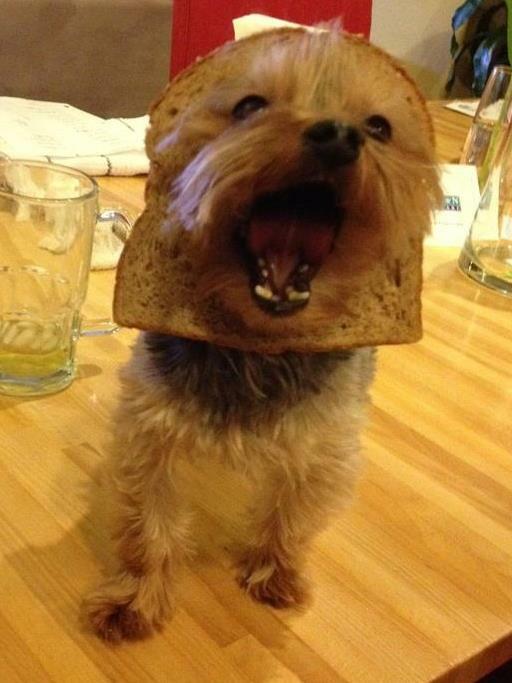 More Bread! Less Homeless Kittens! They are a whack job. I rescue and train dogs. Moving into a house with out 15 dogs. Needless to say, I love dogs. But PETA causes more problems than they help for the animal kingdom. There is a natural hierarchy but PETA would rather see fish have more rights than a homeless child. Now don’t get me wrong, I despise animal abuse and would love to take any abuser and hang them by their toes, pour honey and fire ants all over their body. But have some common sense PETA, crickey! 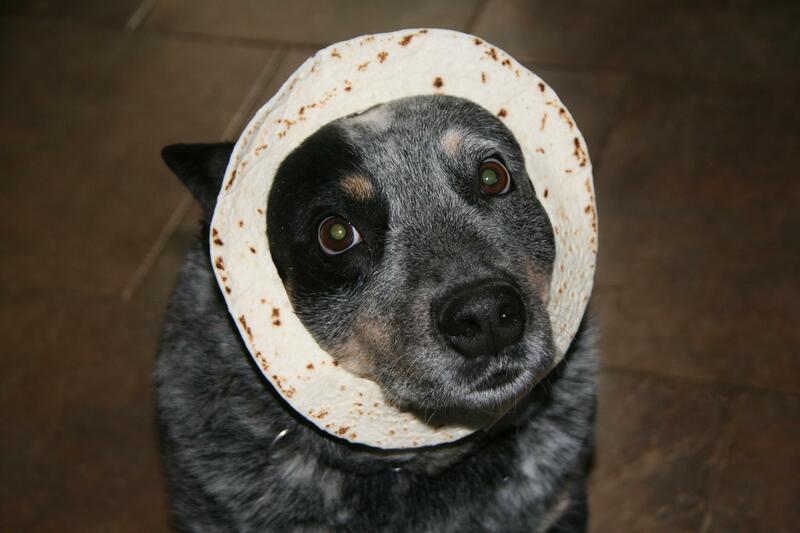 Just add a little mayo. 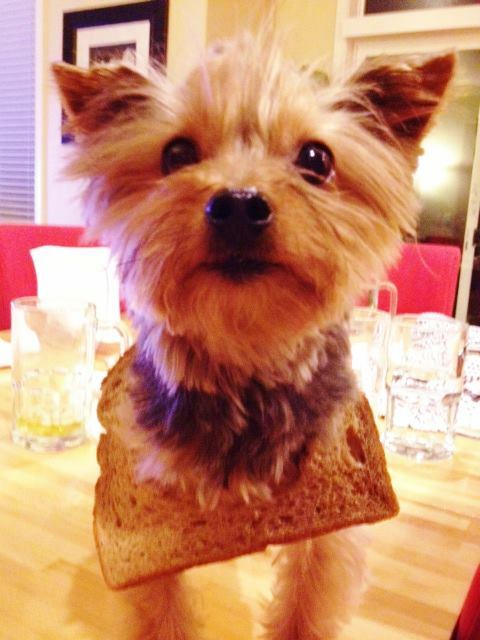 I was wondering who left all the bread with the centre cut out. Maybe it was a set up by the cats? i cut the crust off. it wasn’t me MC. but cats ARE pretty sneaky. Hell, mine has opposable dew claws and cheats every time we play poker. So it was your cat that gave the idea for the painting of dogs playing poker! I don’t see the humor in it. Kind of like planking. I’m with you, no clue! I just might join this club.